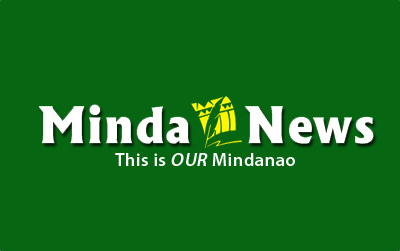 LAGUINDINGAN, Misamis Oriental (MindaNews/30 March) — Officials expressed optimism the Laguindingan airport would become the busiest regional transport facility as soon as a huge passenger aircraft landed here on Sunday night. A Cebu Pacific Air Bus A320 operated by Tiger Air landed Sunday night, marking the first time a wide-body commercial plane did so at Mindanao’s newest air transport facility. Another Cebu Pacific Air ATR 72-500 turbo prop plane from Mactan made the first night landing at the airport last March 12. 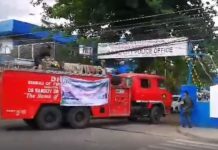 Civil Aviation Authority of the Philippines and airport Manager Jose Bodiongan said the airport would be the “busiest regional transportation hub” after the installation of runway lights, state-of-the-art navigational equipment and purchase of two new fire trucks to ensure safety. “This airport has been heavily criticized at the start. Many said it is unsafe but now this airport is now among the top airports in the country. This is jubilation,” Bodiongan said. 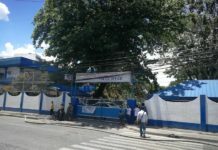 Bodiongan said they expect air passenger traffic will rise in the near future as passengers from Iligan, Marawi, Cagayan de Oro and Valencia cities turned more to air travel to get around the country. He said that presently Laguindingan caters to 24 flights daily to and from Manila, Cebu, Davao and Iloilo. “With two more flights coming at nights, increased traffic will surely pick up in the coming months,” Bodiongan said. He said the installation of runway lights and state-of-the-art navigation facilities was finished in November last year. He said since that November the control tower in Laguindingan has been handling all plane traffic, while the old airport in Lumbia, Cagayan de Oro is now handling the flights of Philippine Air Force planes. “It just took a little while before night operations started because major air lines were still studying the profitably of servicing Laguindingan airport,” he said. Department of Tourism Northern Mindanao Director Catalino Chan III welcomed this development. Chan said the tourism sector was also elated when travel to and from the airport was reduced to only 30 minutes from one hour. He said the prevailing peace and order situation has made the Philippine College of Surgeons to reconsider their decision not to hold their convention in Cagayan de Oro following the Limketkai bombing in July 2013. Chan said the doctors have now decided to bring 1,000 delegates to their convention in Cagayan de Oro this year.